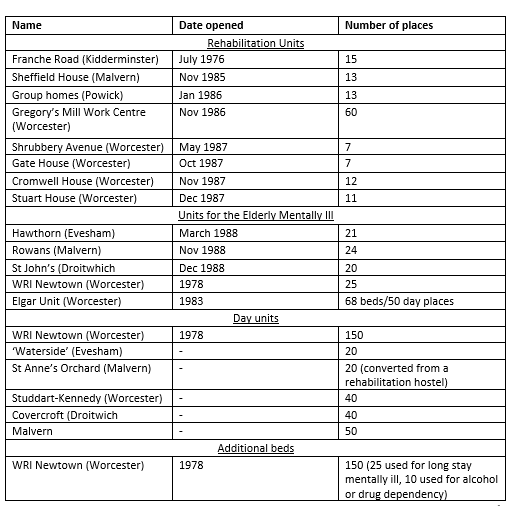 For the past few months, I have been researching the history of mental health care within Worcester, which has led to me finding some boxes of documents in The Hive detailing the Worcester Development Project (the project undertaken in the 1970s-80s to modernise mental health care within the district). The Project proposed was the closure of the large mental hospital, Powick, that had served Worcester and the surrounding areas since 1847, and the replacement of this with an integrated system of day units, general hospital wards, rehabilitation hostels and purpose-built mental health units within the community. Closure of Powick was planned for 1980 and was marketed as a positive, revolutionary change for the treatment of mental health in Britain; however, the response to the closure of Powick and the new system was varied within the community. Some viewed community care as a logical extension of the previous changes to mental health care such as the introduction of drugs which made institutionalisation less necessary overall, whilst others saw it as the unnecessary closure of a community itself without enough consideration to the effect this would have on the patients. Powick was finally closed in 1989 after substantial delays and the new system of community care was launched. In 1968, Powick was a large site with 949 beds that served both short-term and long-term patients. Powick was actually performing better than the national average, with only 16% of patients classed as long stay. Despite this positive performance, there was a growing philosophy among politicians and some professionals that the old style mental hospital led to isolation from the community and as a result, the institutionalisation of many long-term patients. The growing condemnation of mental hospitals is displayed in the 1968 World in Action documentary featuring Powick, which arguably set out to present a negative portrayal of the hospital in order to further condemn mental hospitals and rouse support for community care. Along with this public condemnation of institutionalisation, there was a focus on the positive effects community-based care could have and a general sentiment that community care would be a more effective way of treating mental health. For instance, whilst the World in Action documentary displayed a lack of privacy and dignity for patients, documents found in The Archives included rhetoric based around promoting the ‘self-determination and autonomy’ and the ‘dignity’ of patients through community care. It would seem that although not everybody agreed with the closure of Powick, the direction of political and public rhetoric pushed the community care agenda until it was recognised as the next logical step for mental health care. In 1983, the Griffiths Report on the NHS recommended that the closure of mental hospitals was necessary, and so this is what eventually happened. Before the implementation of community care, mental health services in Worcester and the surrounding area were primarily comprised of Powick Hospital, Worcester Royal Infirmary, Kidderminster General and a day unit in Evesham, Malvern. This was supported by just a few rehabilitation hostels such as Perryfields hostel which provided 12 beds. Some community services were already in place but this was more of a fragmented system, which was to be replaced by a complete system of care. The government and the Health Authorities were aiming for smaller, dispersed units throughout the area where patients would be treated in the locality, giving them access to the amenities of the local community. It was thought that this style of mental health care would foster greater independence and ability for patients to re-join the community after treatment. For instance, one unit set up as part of the Worcester Development Project was the Franche Road mental health hostel, which opened early on in the project in 1976. It was initially built to accommodate 12 residents and then later increased to a maximum of 15. The aim of this hostel was to provide rehabilitation care and eventually aid the transition of residents into independent living. Out of 71 former residents surveyed, the majority of them had moved on into independent facilities such as council houses, privately rented accommodation or purchased their own house. Complete information for every single unit set up could not be found but the below table sets out information on a number of the units that were provided as part of the Worcester Development Project and shows the breadth of the Project. Many more day units and hostels were established as part of this project, going some way to make up for the loss of beds at Powick. Furthermore, although less long-term beds were provided, it was found that the number of contacts between patients and day hospitals/units had increased exponentially between 1971 and 1988, the years in which Powick was run down. The attendance at day hospitals is particularly notable – with an increase from 189 attendances in 1971 to 25,772 attendances in 1988. Clearly the new facilities that were set up were utilised by many more patients than they had previously, providing support to previous long-stay patients. The below table, taken from Hall and Brockingon's The Closure of Mental Hospitals, details the increase in importance of day units as the number of beds at Powick was decreasing. Source: P. Hall, I. Brockington The Closure of Mental Hospitals, 1981 p. 84. Whether or not the population of Worcester thought this new style of care was better or worse than the treatment provided by Powick is not an easy question to answer, with a variety of opinions depending on each individual circumstance. Some thought that implementation of community care was a necessary modernisation of mental health services. Conversely, some disagreed with the ideals of community care as they thought for some patients, the routine and the safety of Powick was a positive thing. 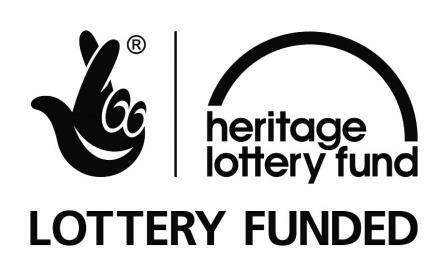 This research instead serves to provide information on the topic based upon documents contained in The Hive, piecing together why the Worcester Development Project was undertaken in the first place and what units were set up as part of this project. P. Hall, R. Gillard, ‘The Worcester Development Project’ International Journal of Social Psychiatry, Volume 28, 1982, p. 163-172. Archive Reference BA12248/1 (viii) ‘Powick Task Force final draft version, 25 May 1987. BA12248/1 (xvi) – Dream or Nightmare? The Closure of Long-Stay Mental Hospitals and Community Care. P. Hall, I. Brockington, The Closure of Mental Hospitals, 1981. BA12248/1 (i) ‘Draft Feasibility Study for the Worcester Development Project, June 1969. TV Documentary, ‘World in Action’, 1968. BA12248/1 (xii) ‘Worcester Mental Health Unit – Community Staffed Homes in Worcester, Operational Philosophy’. BA12248/1 (iv) January 1985, Comprehensive Operational Report on the Mental Health Hostel in Kidderminster.